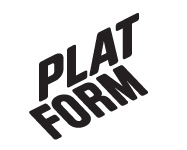 February 2016 – Platform r.f. As an early start to the upcoming Vastaan+Otto / Mot+Tagning festival, with its main events in May 2016, Local A. (Jenny Berntsson & Felice Hapetzeder, SE) are giving a workshop in Ristikka Youth House in Ristinummi, Vaasa. More info about Vastaan+Otto, the The 1st Triennial of Coummunity Arts, can be found here. The workshop(s) are part of the Local A. project Sculptural Pavilion. More information about Local A. can be found on their web site. UPDATE: The workshops in Ristikka spontaneously expanded into the Variska school in Ristinummi. Read more on the school blog!